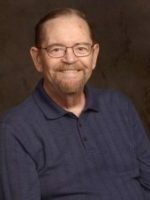 Curtis passed away Monday, September 10, 2018 at his home in Otsego. He was born February 24, 1936 in Grand Rapids, the son of Lawrence and Mary (Beach) Parkhurst. Curtis was a 1954 Comstock Park High School graduate. For many years he had been a surveyor for the Michigan Transportation Right of Way Department until his retirement in 1989. Curtis was a member of Allegan Wesleyan Church for 35 years and currently attended the Otsego Church of God. He also was a founding member of the Western Michigan Friendship Force. In his spare time he enjoyed reading, electronics and volunteering at Kids Hope. On September 3, 1960 he married Darlene Heath who passed away in 1977. On January 24, 1980 he married Jennette Bargwell who survives. Also surviving are his children, Jack (Lori), Jim (Julie), Curt (Tonia), Robert and Kathy (Dale) along with many grandchildren and great-grandchildren. He was preceded in death by his parents, daughter, Peggy and grandson, Jacob. Friends may visit with Curtis’ family from 5-8 P.M., Thursday, September 13, 2018 at the Winkel Funeral Home, Otsego where a funeral service will be held at 3:00 P.M., Friday, September 14, 2018 with Pastor Stephen Burrow officiating. A private family burial will be held Saturday at Sand Lake Cemetery in Sand Lake with Rev. Lee Zabrocki officiating. Contributions in memory of Curtis may be made to the Otsego Church of God. So very sorry for your loss, praying that our Heavenly Father will let you feel His presence, our wonderful creator, He tells us in His living word, 1st. Corinthians chapter 2 verse 9 , No eye has seen, no ear has heard,no mind has conceived what God has prepared for those that love Him. Curtis loved Him, and right now He has seen and touched the face of God, something we all long to do, Curtis is seeing things our human eyes cannot even begin to comprehend, he is hearing things no earthly ear has ever heard, and enjoying things our human minds are not capable of understanding. Glory to God in heaven, we will see Curtis again. We are so sorry for your loss. We are glad to have gotten to know Curtis and Jeannette and Robert these last couple of years through the church. Curtis will be missed. You are in our prayers always! Jeanette and Family. We are stunned and so sorry at your loss. We will miss him so much. Knowing Curtis and yourself these last 12 years have truly enriched our lives. Our thoughts and prayers are with you. Ron and Marla Augustine. Grandpa we love you with all our hearts and you will be missed more and more everyday. You have taught us so much over the years and was always here for everyone. I’m so blessed to have had you as my Grandpa. Nancy and I are so sorry to hear of Curtis’s passing from Char this morning. It has been an honor to have known him and will always remember him in our thoughts and prayers. We will be unable to make the visitation or funeral either one due to my cataract surgery the same day, but you’ll be in our thoughts. Jennette and family, I am so sorry to learn of Curtis’s passing. May he rest in peace. We’re so sorry to hear of your loss of Curtis from Char yesterday. It was an honor to have known him and our lunches together with John and Char. Unfortunately we’ll be unable to make visitations or the funeral due to my cataract surgery Thursday, but our thoughts and prayers will be with you throughout these hard day’s. We send our condolences to you and the family and certainly will keep you in our thoughts and prayers. We feel very fortunate to have known Curtis over the years and that we have shared many meals together with the two of you, especially a few weeks ago at the picnic in Hastings. We shared a hug or two along the way. He will be missed but we know he is in a better place. I am so sorry to hear about Curtis. You and your family are in my thoughts and prayers. Sorry for your loss. You are in my thoughts and prayers. If there is something you or the family needs please let me know. Saddened to hear of Curtis’s passing. He and Jeannette have been long time supporters of our organization. We will miss him greatly. We were fortunate to see him one last time at our annual picnic in August. R.I.P. Curtis. You will be sorely missed. Prayers for Curtis, Jeannette, and family.